The ACCA F8 Audit and Assurance exam is part of ACCA skills and fundamentals level of the qualification, but students who are looking to pass this exam will be edging ever close to the Professional P level papers. You can find the full F8 syllabus and study guide from ACCA here. Students can pick up a free copy of the full Astranti study test F8 Audit and Assurance paper here. It’s a great resource to have in your armoury as it allows you study online and on the go. Not too mention, Astranti offer all students free study texts for all levels of the ACCA and it’s a great to add to your exisiting resources or use as a stand alone study text. ACCA offer a host of videos on youtube on various F8 Audit and Assurance subjects and their site on youtube is well worth visiting. Below is a look at one of the more tricky subjects in the F8 syllabus – assertions and substantive procedures. Using these types of free resources should not be neglected by ACCA students looking to pass their exams first time. The ACCA youtube channel can be found here. Students who are self studying the ACCA qualification are missing out on the benefits of classroom tutiton but the ACCA online master classes from Astranti offer the next best alternative, as these two day courses cover over 10 hours of learning content. 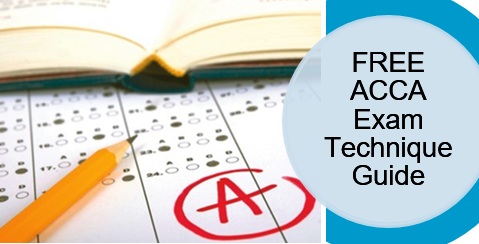 The ACCA qualified tutor will run through tips on how to pass the ACCA F8 paper and what the examiner is looking for – as well as exam technique. Meanwhile, a substantial amount of time is devoted to cover the tougher areas of the F8 syllabus to ensure students are ready for exam day. Even if you cannot attend for the live master class, every session is recorded and available for students. The specialist ACCA tutor will guide you through the most examinable topics and how to pick up easy marks. There is a specific focus on difficult past questions ensuring you are ready for whatever the exam has in store. It will include how to improve your exam technique. One of the final steps in tackling the Audit and Assurance paper will be practising mock exam after mock exam. There is no use is having pages and pages of pristine study notes if you don’t have enough mock exam practice under your belt. Astranti offer past exam papers for F8 Audit and Assurance with marking and detailed feedback to see where you went wrong. It will give you an honest appraisal with comments on how to improve your technique and exam style, helping you achieve a pass mark on exam day. You can find out more about the ACCA mock exam marking and feedback here. The ACCA also provide plenty of mock exam resources for the F8 Audit and Assurance paper here.